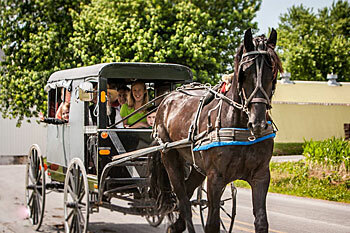 Travel down the back country roads of Lancaster County and learn about the Amish. A is for Amish Buggy Rides is committed to providing you with a memorable experience. Their knowledgeable and friendly drivers are either Amish, Mennonite, or Brethren. 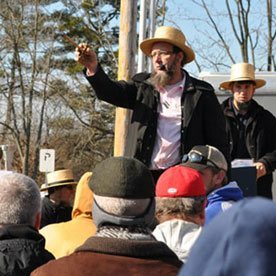 Learn about the fascinating history of the Amish of Lancaster County. 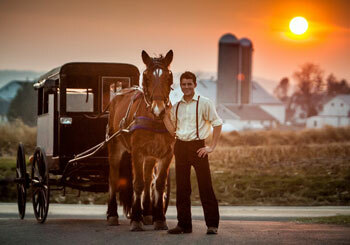 Your tour will take you past some Amish points of interest and you’ll learn about the Amish lifestyle. Feel free to ask your driver any questions you might have. They have a number of ride options available. 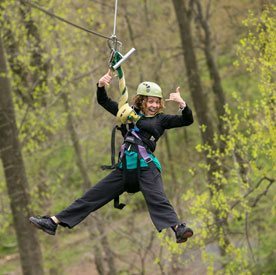 Stops on your trip could include an actual Amish dairy farm, a miniature horse farm, a woodworking shop, a quilt store, a craft shop, or other locations. You’ll get to meet people along the way and you can ask them questions, too. 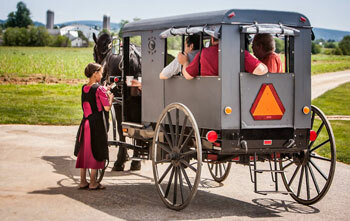 A is for Amish Buggy Rides is located just outside of Strasburg, PA along Paradise Road. They share the parking lot with the Red Caboose Motel and Casey Jones’ Restaurant. And the Strasburg Rail Road runs right alongside. While here you’ll also get to see goats, chickens, pigs, cows, horses, and more. Enjoy their petting zoo, playground, picnic area, and a silo you can climb. Couples, families, and small groups are welcome any time. For groups of 20 or more please call ahead for reservations. Experience Lancaster County in a unique way at A is for Amish Buggy Rides!